Are you looking for a different Live Roulette experience with multiple cameras, HD resolution and slow motion replays? Then check out the new Immersive Live Roulette from Evolution Gaming because its new, its different and its cool! This new style of online live roulette is the latest development from Evolution Gaming and is taking live gaming experience to the next level! 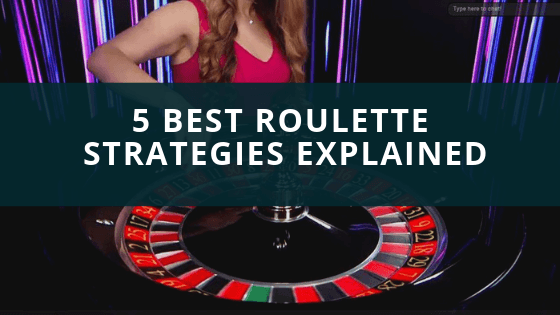 Forget what you already know about Live Roulette Online! Think about normal live roulette… now imagine HD cameras, slow motion replays and multiple cameras and you have Immersive Roulette! Immersive Roulette is the future of live dealer games! A Unique live gaming experience! So what is Immersive Live Roulette and how does it differ from the usual live roulette? Immersive Roulette is the most advanced live roulette online that stands out from the ordinary Live Roulette as we know it. First of all there are multiple cameras cover more angles of the game. As the live dealer spins the roulette wheel, the automatic changes between the different camera angles allows casino players to follow every single bounce of the ball! Live Roulette is captured in High Definition video with 200 frames p/s which gives players a crystal clear image. In addition, there are the slow motion replays of every spin as well as enhanced statistic graphics. So, this type of Roulette is not a different roulette type, it is just an improved, more developed live roulette game. If you enjoy playing Live Roulette then you are going to love Immersive Roulette! There are a few UK live casinos that offer Immersive Live Roulette. Actually, any live casino that is powered by Evolution Gaming has the Immersive Roulette table. Below you can find our choice of the best live casinos for Immersive Roulette considering their welcome offer and any additional promotions. Royal Panda is a relatively new quirky casino with a great live casino section and one of the UK Casinos that is offering Immersive Roulette. New Players at Royal Panda Live Casino can get up to £100 Bonus to enjoy Immersive Roulette or any other Live Casino Game as well as a couple of weekly deposit bonus promotions. That is straight 100% Deposit Bonus of £2018 EXCLUSIVELY for bestuklivecasinos.co.uk visitors! William Hill is one of the leading UK Casinos and one of the few UK Live Casino at the moment offering Immersive Roulette. You can play this type of roulette at the Live Casino section ( Vegas ) and not from the standard William Hill Casino. New Players at William Hill Vegas Live Casino can get £25 Bonus to enjoy Immersive Roulette or any other Live Casino Game!